If you need to oversee and report fire activity, firemaps.net is where you can get the information to develop and support your management strategies. firemaps.net supports fire management through ready-to use information on fire impact and smoke emissions by leveraging free and open data e.g. 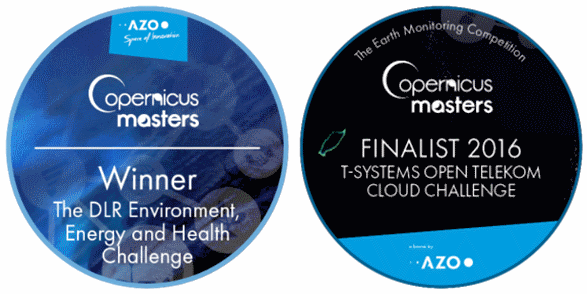 from the European Copernicus satellites and the power of cloud computing. Firemaps.net provides customers with ready to use and continuously available information that was previously compiled through complex and costly studies. We continuously harvest new satellite data at the satellite providers, process them in the cloud and make the results available for you. Our experts tightly supervise our automated processing chains so that you can be assured our results are ready for your reporting and fire management decisions. We not only download and process, but also analyze fire data for you so that you have access to reporting ready information. Saving time on technical stuff leaves you free to focus on managing fires. Satellites are continuously observing our planet. Terabytes of free and open science quality data are produced each day by the European Sentinel satellite fleet, by the US Landsat satellites and other satellite sensors. 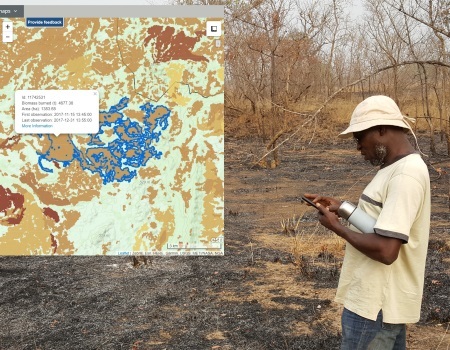 Automated processing of these large amounts of data in a cloud computing environment enables the timely provision of burned area statistics, analysis of affected land cover, assessment of fire risk and vulnerability and success monitoring of management measures such as controlled burns. The firemaps system is key for us. Using this data we can plan our management for the next fire season and we can focus our attention on emission reduction. It is easy to use. Within less then half a day, anyone can learn to use this system.